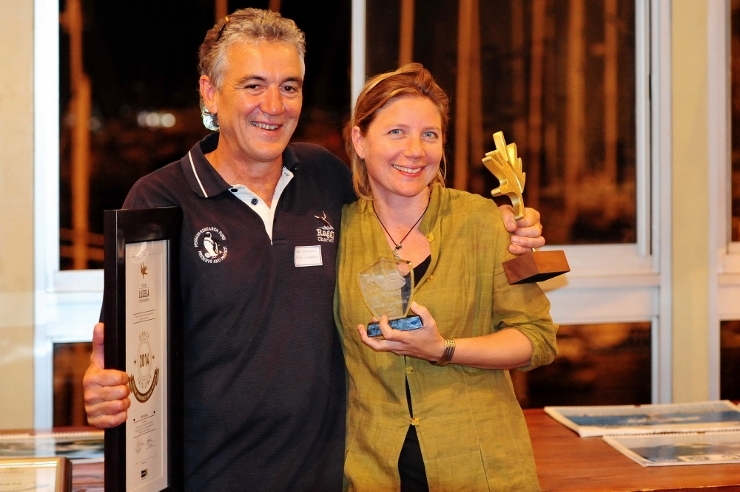 During the 15th South African Marine Science Symposium, held in July of this year, various medals and awards were presented and our very own resident scientist and Raggy Charters co-owner Dr Lorien Pichegru was honoured with the SANCOR Emerging Scientist Award. This award was established to acknowledge a new generation of scientists and to encourage research excellence in science in the marine and coastal environment. Read more about the symposium and other achievements here. Dr Lorien Pichegru has been studying the breeding success of African Penguins in Algoa Bay for the past six years, to determine whether competition with purse-seine fisheries has caused the decline in African penguin numbers. 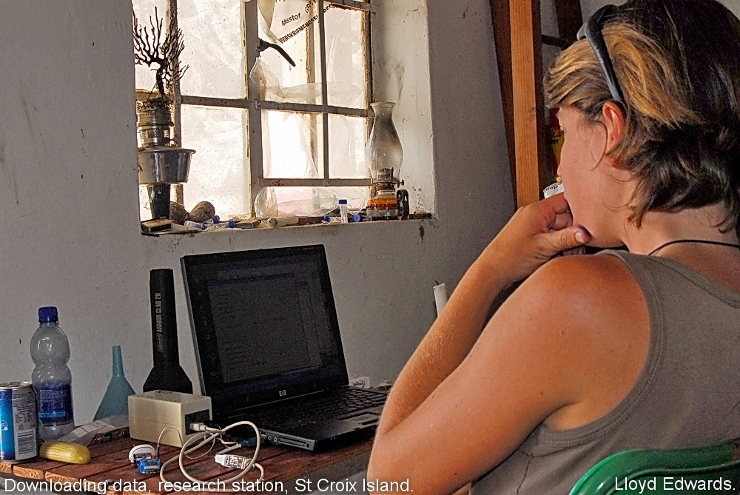 Lorien gained her PhD at the University of Strasbourg, France, in 2008 and is currently a research associate at the Percy FitzPatrick Institute of African Ornithology (click here for a list of her publications). Part of the study involves closing a 20km radius around St Croix Island to fishing by purse seiners who target one of the penguins prey items, the sardine. It has been found that even this small Marine Protected Area around the colony helps dramatically.Click here for more information about the research being conducted on the African penguin. Thanks to this extensive research SANParks are in the process of increasing the Marine Protected Area put in place around Bird Island to include the St Croix Island group, which should make a huge difference to the African penguin population. Well done Lorien!! Lorien has also recently become the Committee Chair of the Algoa Bay Hope Spot council to help launch Algoa Bay as a Hope Spot in December this year (with Dr Sylvia Earle launching is on December 11th). Her roles are to help organise public events and raise awareness about marine conservation within Algoa Bay, and the rest of our oceans, help put our hope spot on the map as one of the most important marine areas, help engage the community around our hope spot to ensure sustainable use of our enviroment, and to help raise funds to promote marine conservation and education. Raggy Charters has also been very involved with fundraising and other activities for the hope spot, and is currently launching a 'Hope Spot Edition' of our Algoa Bay Calendar which you can read more about here; profits from which will be going towards the hope spot initiative, as well as our own penguin research. Raggy Charters also received some great recognition this year in the tourism industry. It started off with a Trip Advisor certificate of excellence, which comes from all the great reviews we have received. Then in September we managed to become a finalist at the Lilizela Tourism Awards in the 'Visitor Experience of the Year' section and snagged 'Best Marine Adventures', for the best marine, ocean and beach experience in the Eastern Cape, inviting guests to enjoy the richness of the country’s coastline and the fascinating ecosystems that it supports. 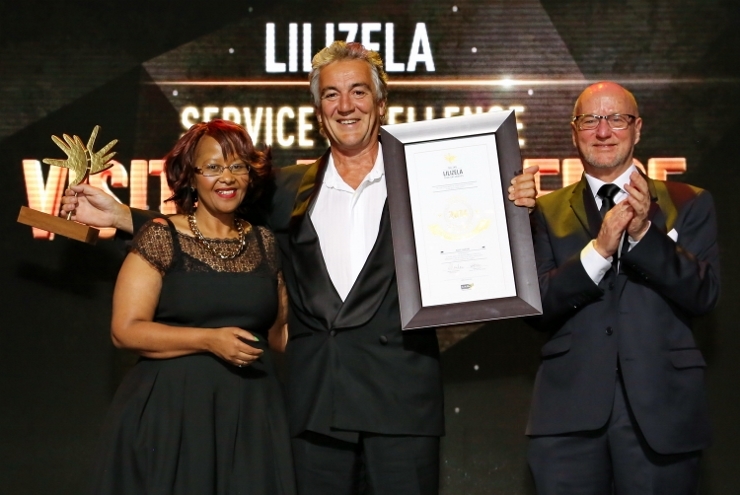 This took us out to Johannesburg in October for the National Lilizela Tourism Awards and all of our hard work over the years resulted in a huge win! 'Best Marine Adventures' in the whole of South Africa. We recently celebrated our successes with all of our friends and other businesses who have supported us over the years, click here to see photos from our celebrations!